Supper Solutions helps to make your life that much simpler. Choose dinners from the menu below and we will shop, prep and deliver slow cooker freezer meals to your home! You can shop for meals at the bottom of this page. Meals can be purchased with 4 servings or 6 servings. For 6 servings hit the "make it 6 please" button after purchasing each meal. Please purchase a minmum of 2 meals to keep prices lower. These are realistic, true to life portions! Menu items are changed about every two weeks in order to give our customers variety. Each recipe has been taste tested before being approved as a Supper Solutions menu item. Enjoy! 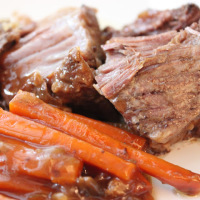 Beef shoulder roast, carrots and seasonings. A complete meal and the meat turns out super tender! Simple, but oh so good! Comes with bread and is served well with provolone cheese. 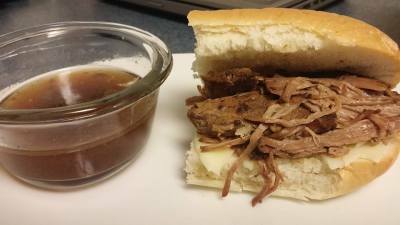 Makes its own au jus while cooking. 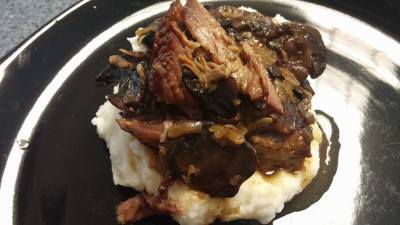 A tender roast served with sliced onions and mushrooms. Comes with mashed potatoes. 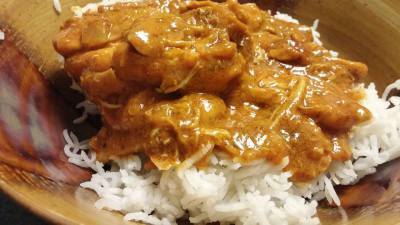 The mushroom taste isn't overpowering so even non mushroom lovers can enjoy this meal. 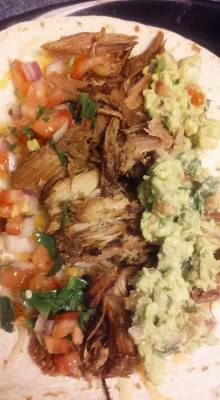 Restaurant quality carnitas from the comfort of home! The pork roast cooks all day in freshly squeezed oranges and limes with garlic and seasonings. 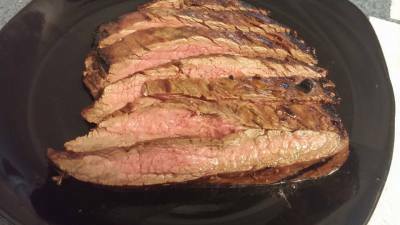 Flank Steak put in our signature marinade and ready for you to throw on the grill when you are ready. Good Food, Good Price, Great Time Saver!